How do I eliminate shoe odor and smelly sneakers? 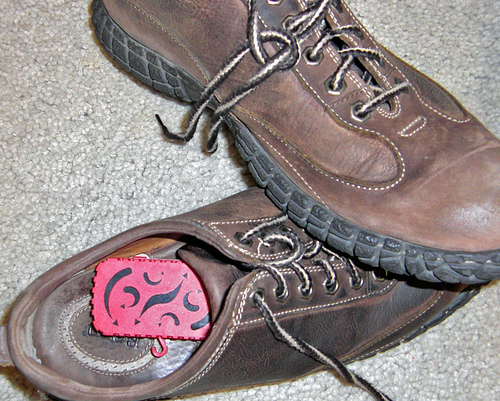 Discover the way to eliminate shoe odor and smelly sneakers without irritating fragrances that just mask the odor. Innofresh Products has developed a ventilated activated charcoal odor absorber that is natural and completely fragrance and toxic chemical free. 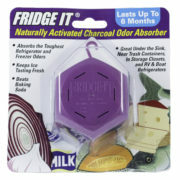 These amazing ventilated activated charcoal odor absorbers are extremely porous. With millions of micro pores, our Innofresh Footwear & Sports odor eliminators have the microscopic surface area the size of a football field, which provides unparalleled odor absorption. That’s the power of activated charcoal. For athletic shoe or cleat odor, just place one Innofresh Footwear & Sports odor eliminator with activated charcoal inside of each shoe when you are not wearing them. 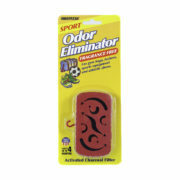 Innofresh Footwear & Sports odor eliminators start working immediately to absorb and eliminate the mildew and musty odors that can develop in and around moist shoes. For gym bags, lockers, closets or sports equipment bags, simply place 1-2 Innofresh Footwear & Sports odor eliminator near the source of the odor. 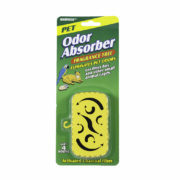 Since our odor absorbers are completely fragrance free, no need to worry about transferring fragrances onto your clothes or other personal items. 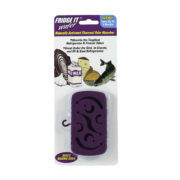 Innofresh Footwear & Sports odor eliminators are also great throughout your home, dorm and office. 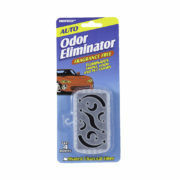 These powerful activated charcoal odor absorbers eliminate offensive odors and you can place them anywhere damp odors are found. 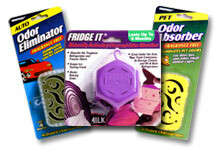 Fragrance and toxic chemical free, they are safe for use throughout your home.